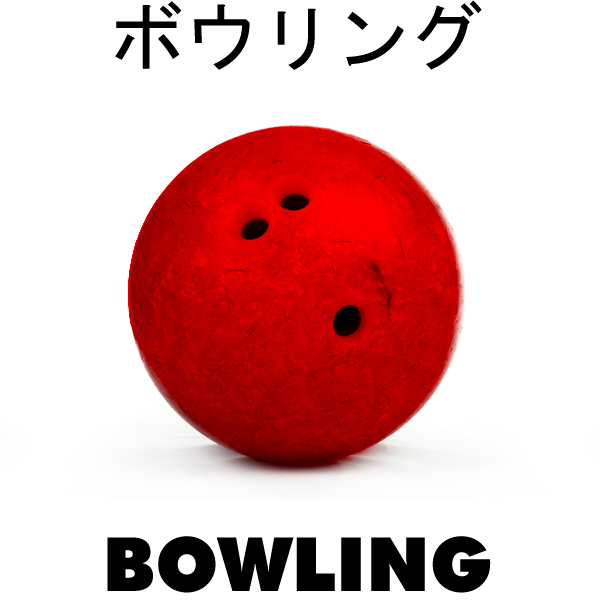 On Bowling in Japan | This Japanese Life. Posted on August 3, 2011	by E.
At first it was a genius move. I would never be asked to talk about the careers of obscure Japanese baseball players. I wouldn’t have to explain the rules of “American Football.” I’d just say I bowled. Talk to one person in an office as a new foreigner and watch what happens. My Japanese persona was quickly settled: I was a very passionate bowler. This is something that happens in Japan, as you reduce your personality to simple expectations and simpler English. It’s not that you set out to lie, or misrepresent yourself. But you have to talk about something cross-cultural, and that means food, sports, or Michael Jackson. So you latch on to whatever you can, and then you watch it escalate beyond control. I had no recollection of my average bowling score. Very passionate bowlers ought to know this stuff. So I made one up. Since the highest possible score was 360, I reasoned, I should place the number just above mediocre. “210,” I’d say. The highest possible score is 300. My highest score was 120. All of this was further complicated by New England’s eccentric embrace of Candlepin Bowling over 10-Pin. This is already difficult to explain to other Americans, but Candlepin uses balls a little larger than a softball to hit narrow pins shaped like candlesticks. It’s only played in Massachusetts, New Hampshire and Maine. Because my coworkers decided I was very passionate about bowling, this conversation came up often. Then I was asked to teach a 50-minute class about Candlepin bowling. I was given five minutes to transform hazy recollections about how bowling worked into a 50-minute class on American culture. I was an anthropologist submitting dreams as research. Candlepin bowling was invented in the late 19th Century in Worcester, Mass., and the rest of the history is generally disputed (Read More). Nonetheless, I got in a great overview of German, French and Dutch settlements in the late 18th Century and how anti-English settlement in the original colonies inspired Americans to invent a new kind of bowling, just as they had envisioned a new destiny for the spirit of all men. The rules for Candlepin bowling were impossible to explain in simple English, and I couldn’t say “I don’t know” to any question without unraveling the entire month-long web of deciept, which meant I’d be outed as a liar and, perhaps worse, forced to start talking about obscure minor-league Japanese baseball players again. They’d ask: How was the largest score 360 if there were 10 pins and 10 rounds? “Oh, did I say 10 pins? There are 12.” How many times can you roll the ball? “Three times, but if you get them all down on the first try, you get to bowl two more times on your next turn and double the total from that score.” Wouldn’t that make the highest total 72 points, meaning the top score would be 866? “Ah, yes, I guess it would.” Blank stares. After that class people stopped talking to me about bowling for a while. Two months later I accepted an invitation to a school bowling tournament. Over the next two weeks, members from the other teams would hover around my desk. They’d ask some random question they didn’t need answered, then quickly launch an interrogation into my bowling skills. You’re very passionate about bowling, aren’t you, sensei? I assumed it was small talk until bowling day arrived. The bowling alley is identical to American Bowling alleys. Japan imports its bowling equipment along with the rainbow-colored lines painted on the walls behind multi-colored silhouettes of bowlers. (Both America and Japan had bowling heydays in the 70s and 80s, which is why so many bowling alleys look like Pac-Man museums). The bowling was a little more intense than I expected. People had their own balls. Some had gloves. They were stretching. I asked one of the teachers if he bowled often. Japanese people can get excited about their hobbies, given the culture’s embrace of give-it-your-all efforts and dismissal of anything less than 100 percent as laziness. I bowled 110 in the first round. It was exactly my average and way below the expectations of my politely agitated teammates. Everywhere around me, people were getting strikes and spares. I was hitting 6-8 pins. Japanese sports are extensions of Japan’s crafts. Craftsmen treat every part of the item as crucial. It’s broken down into parts, isolated, and refined. Consider Kyudo, Japanese Archery. People train for months to practice mindful walking. Every step is conscious. To the sincere practitioner Kyudo is a way of life, and there is no separation between Kyudo training and everyday activities. Each arrow is shot as if it were the only one, just as each moment of one’s life is the ultimate moment. The Kyudo practitioner does not look at the target for the result of his/her practice, but inward, for the target is not a target – it is a mirror. And if the heart is right, each shot clears away some more of the obstacles clouding the vision of one’s true nature. Bowling is divided into segments of several squares, with the opportunity to carry points over from one square to the next. Each square is further divided into three balls. Every roll requires a precise repetition. It’s like any traditional Japanese craft or martial art. You stand with the ball in your hands, look at the pins and decide what your body must do to close the gap. You breathe, visualize, decide to act and then act. It’s not about knocking down pins, it’s about rolling the ball perfectly, which means perfect form, which means perfect awareness, which means mindfulness and the discipline to keep it when the game starts to get dull. Isolating these parts is the practice of mindfulness. Yes, it’s in Japanese bowling strategies. It’s also in television shows, paperwork and gas station attendants. For a foreigner – for whom “mindfulness” is a mystical state instead of a cultural expectation – it might be tempting to see a spiritual element to the strikes and the spares. For the Japanese, this isn’t metaphysics. It’s not spiritual. It’s just the way they do stuff. It’s a mystical experience for Americans, because Eastern philosophy has always been considered magical. It isn’t, it’s just a cultural approach rooted in a different philosophical system. After all, my American approach to bowling is also cultural: Americans are efficient and easily bored, which gives us the restlessness that sparks one of the most creative cultures in the world. We’re dilettantes and dabblers, people who join more than one club in high school, people who do many things well but rarely only one thing perfectly. But we’re impatient. We rush things. We don’t treat every new set of pins as a unique challenge worthy of sustaining perfect focus. I had to relax, but didn’t. I scored a 60 in the second round. I went home that night and started reading up on Daisuke Matsuzaka. If you liked this post, you can get trapped in my ongoing web of lies by following @owls_mcgee on Twitter. This entry was posted in Culture Shock, Fun, Uncategorized and tagged bowling, games, japan, sports. Bookmark the permalink. I went to a PTA bowling event one time. Everyone was super casual about it – yeah, bowling, I go tokidoki. Then the personal shoes came out (the only shoes I have ever seen actually fit anyone while in Japan), and the ball bags, too. One game in, and there were so many strikes it was starting to look like a New York City post office in the 70s. Ha, poor Eryk. Sometimes your life reads like a sitcom, and I love it. Also, Matsuzaka just had Tommy John surgery, so you won’t have to worry about him for awhile. I thought that sentence was a perfect summary and so, so true. That’s one element of Japanese culture that I’m really ambivalent about. Since when is each square given three balls to throw? It’s almost like this entire post is about how I don’t know anything about bowling! Amazing how that works! I told people I do karate, but have been fortunate enough not to display any of my “skills” yet. Good post, though. I like most of what you write about.